Ald. Donald Wilson (4th) listens at a council meeting. He said the proposed program could create more balance in the city’s residential market and help break a cycle of replacing small houses with bigger developments. City Council members referred a potential special use process that would support affordable housing and ensure equitable access to community benefits to the Planning and Development committee after a Monday meeting..
Aldermen made the motion after considering creating a special use process that would enable developers to purpose the construction of modest-size homes on smaller lots than currently allowed by Evanston zoning policies. The program would make the development of “starter homes” more affordable and accessible to both first-time homebuyers and less affluent residents by reducing land costs associated with developing single-family homes, according to city documents. The special use process would also allow parcels that are currently “undevelopable” based on zoning to be used. Ald. 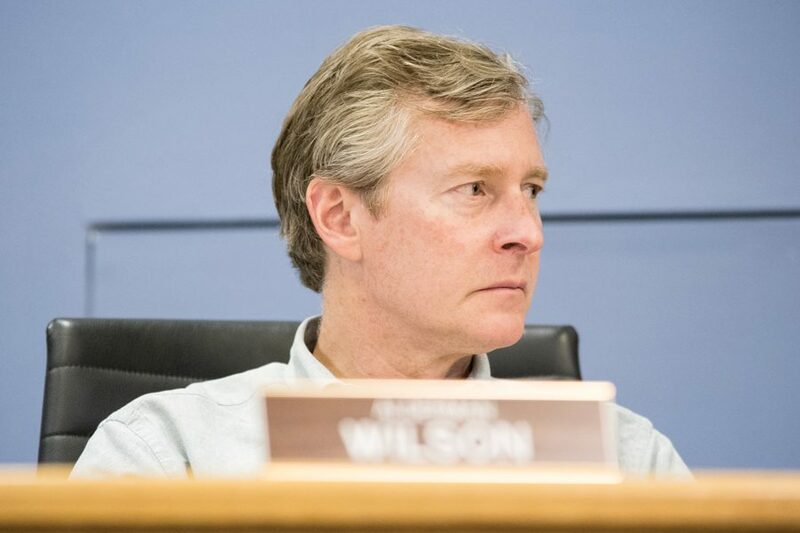 Donald Wilson (4th) said he appreciated the suggestion to amend city zoning ordinances because the proposed program could create more balance in the city’s residential market and help break a cycle of replacing small houses with bigger developments. Evanston housing and grants division manager Sarah Flax, who presented the program to council on Monday, said escalating housing costs in the city have been “pushing out” younger families and older residents who want to live in smaller homes. She said though effective, Evanston zoning laws can restrict more creative housing options. She said some parcels of land in Evanston are “odd shapes and sizes” and a more flexible special use process would allow for more creativity in utilizing those spaces. “Rather than trying to design zoning that gives us a different set of regulations that we absolutely have to meet, we would like to have the opportunity to come up with something that is … handled case by case,” Flax said. Ald. Judy Fiske (1st) said the difficult part of working this program into the city’s zoning ordinances would be how to manage the special use process. She said historically, smaller houses in Evanston were moved off the lakefront to make room for larger lots and into the other areas like the 5th Ward.